The results of fine-scale climate modelling by scientists from the Antarctic Climate and Ecosystems Cooperative Research Centre are now being put to use by Tasmanian farmers, businesses and the State Government. The Climate Futures for Tasmania project, which has been hosted by the ACE CRC, has now released three technical reports from a suite of products developed by downscaling six IPCC global climate models to a 10- kilometre grid across the State. The research provides fine-scale climate projections until 2100. This project is a world leader in the level of detail in its projections. In total the simulations took approximately 1300 days of continuous super-computer time and required in excess of 75 terabytes of storage. The simulations generated by the project occupy more than twice the storage space of the modelling output considered by the IPCC in compiling its Fourth Assessment Report. The research is the Tasmanian government’s most important source of climate change data at a local scale. It is also remarkable for its high level of engagement over the past three years with the people who will use the results. Businesses, farmers and other industries, local government and policymakers have helped to guide the research from the start. 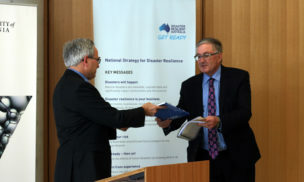 The Deputy Premier of Tasmania, Bryan Green, and the then state Minister for Climate Change, Nick McKim, jointly launched the Climate Futures for Tasmania Impacts on Agriculture Technical Report and the Climate Futures for Tasmania Water and Catchments Technical Report on March 11. The results of the Impacts on Agriculture report included the possibilities of bigger wheat yields, increased livestock-carrying capacity in some areas and a change in wine-growing conditions in some regions that will make them similar to the present-day Coonawarra. An increase in heat available for crops will have profound effects, including changes in the choice of crop species, reduced crop duration changes to crop yields and crop quality. Increases in heat will change the incidence and severity of pests. Large irrigation storages fed from runoff from Tasmania’s Central Highlands are likely to have reduced inflows by 2100, but irrigation storages in the Macquarie River and Coal River catchments are projected to experience increased inflows. Runoff is likely to increase in the important agricultural regions of the Derwent Valley and the Midlands. 32 of the 78 modelled rivers are projected to change by more than 10% by 2100. 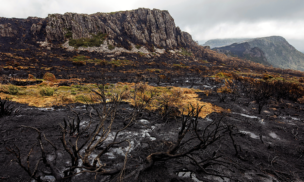 The Climate Futures for Tasmania General Climate Impacts Technical Report was launched in October last year and the Extreme Events Technical Report will be launched in the months ahead. The Climate Futures for Tasmania project was funded primarily by the State Government, the Australian Government’s Commonwealth Environment Research Facilities Program and the Natural Disaster Mitigation Program and Hydro Tasmania. 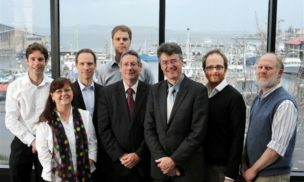 Scientific leadership and contributions were made from a consortium of organisations including: Antarctic Climate & Ecosystems Cooperative Research Centre, Tasmanian Department of Primary Industries, Parks, Water and Environment, Tasmanian State Emergency Service, Entura, Geoscience Australia, Bureau of Meteorology, CSIRO, Tasmanian Partnership for Advanced Computing, Tasmanian Institute of Agricultural Research and the University of Tasmania. Tasmania can expect roughly double the fire danger, over twice the area of land, by the end of the century. 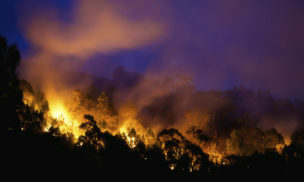 Project to examine how the Tasmania’s fire fighting techniques can be strengthened.